I don't know where this came from - as in, the urge of picking up sewing skill. My initial thought was to make some headbands and that's about it, and then I bumped into a el-cheapo sewing machine being displayed in one of the hardware shop in shopping mall. Selling at RM138 or less. The sales representative did a demonstrations and the more he shown me what that little thing can do, the more I thought that's a crappy machine - but it did strike me that things has changed these days. My mum has 2 traditional Singer's sewing machines at home, one is hand-me-down from my father's mother, another one was from my mother's mother as wedding gift. I wouldn't touch neither of them, it's too scary for me to even think of operating them. 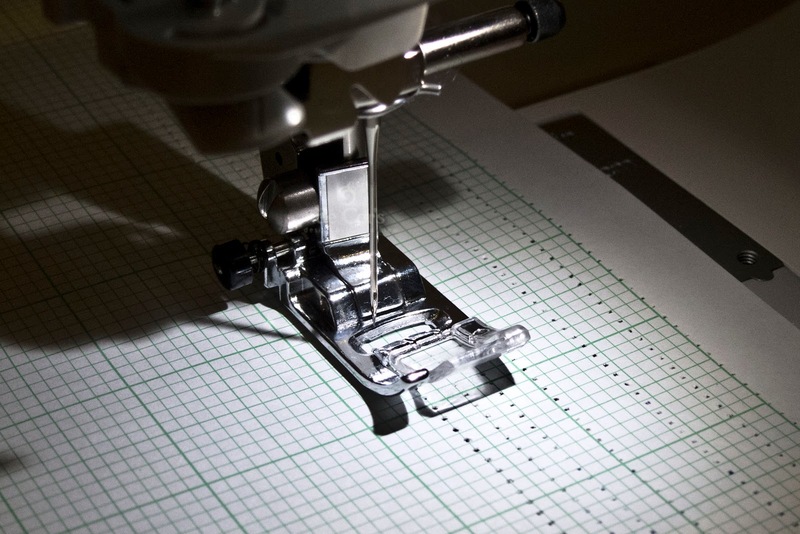 I didn't know sewing machines these days could be so... mobile, and intelligent. 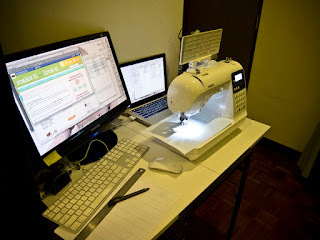 So I did some research online - and holly crap, I felt like I'm so outdated with what's going on in fabric world! Then what happened next is - I received a sewing machine as gift, well you can call it as Christmas gift or New Year gift or just, pure gift, from Steven Cheok. I gotta give him the credit - I've never thought he would do that for me! It's like, it must have been the worst morning he ever had for this year. He buzzed me on Google Talk, and asked me what was I doing. 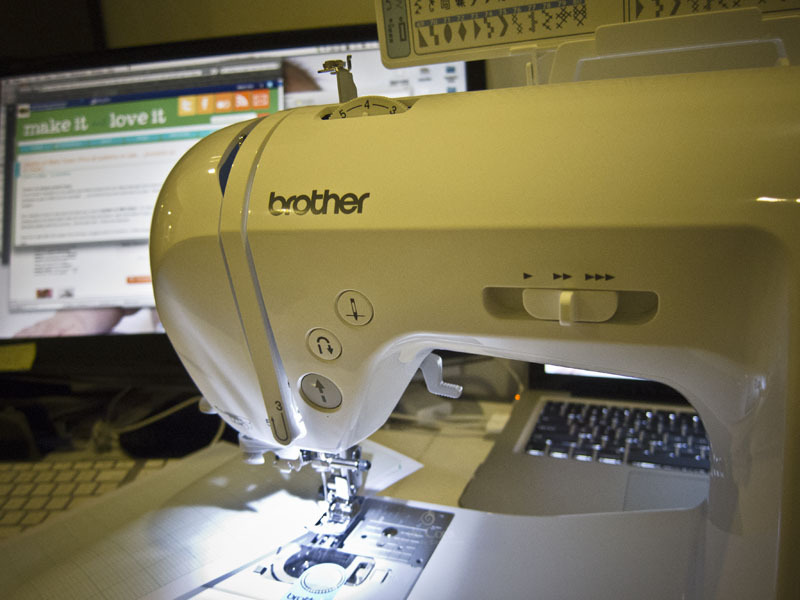 I told him I am doing research on Sewing machine, and I was eye-ing on Brother's NV50. And then he said he would buy that for me as gift. I paused a while and go like, "what? You can't be serious! Are you serious?!" And my sewing on graph paper! Viewing from far - quite neat, isn't it? 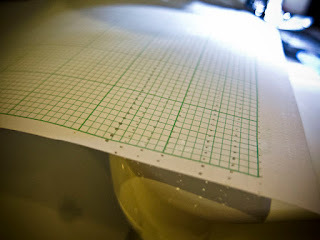 Each pattern comes with instructions and detailed pictures for every step of the way (similar to my tutorials here on this blog) and pattern pieces that you can cut out. Maybe you’ve been wanting to try a new pattern to test out your skills but didn’t want to spend too much if you’re still a beginner. Well, now’s the chance to just give it a try. 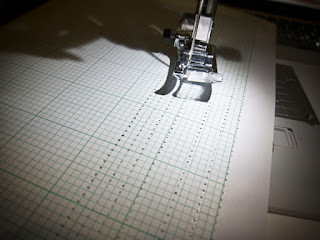 And because it’s a computer file, you can save the file and print it out again in a year from now and not worry about losing the pattern. So check them out here…… I have bought them all 7 patterns for $3.00 each. (That’s more than 50% off for most patterns.) Sale ends Friday, 01/13/12, at midnight - though I know as a complete beginner, I wouldn't be able to make anything out from those patterns anytime soon. But I would love to have them for keepsake, for collection or whatever you call it, I would like to support especially Ashley had been such a great contributor to the crafting world. Truly hope that you would do the same too - again please remember, the $3.00 pattern sale ends Friday, 1/13/12 @ midnight.